Who do you know in your professional circle who has a great deal of regret because they did what today’s quote warned us against? Over 30 years ago I had dinner with Frank, the Senior Vice President of the pharmaceutical company where I was a rookie sales representative. He had a huge job running the U.S. sales for what was then a four billion dollar Fortune 500 organization with more than 1,200 sales people in 20 regions spread across The United States. On the surface, he exuded great success and accomplishment. Yet at the end of our dinner, he confided in me that his marriage, his relationship with his children, and even his health had suffered due to his job. His coaching for me was to not make the same mistake. 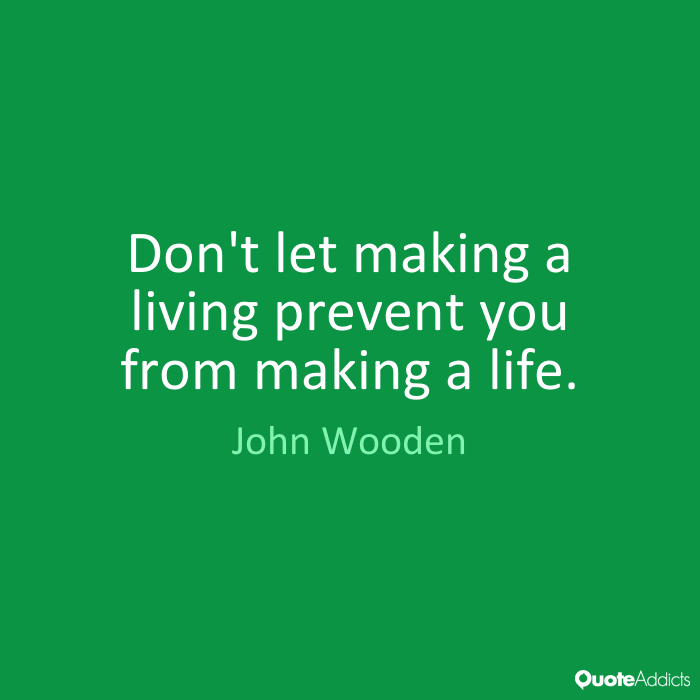 How can and will you change yourself so that making a life and making a living can be part of the same great journey? This entry was posted in Living Well and tagged Barry Demp, choices, Demp Coaching, living well, The Quotable Coach by Barry. Bookmark the permalink.